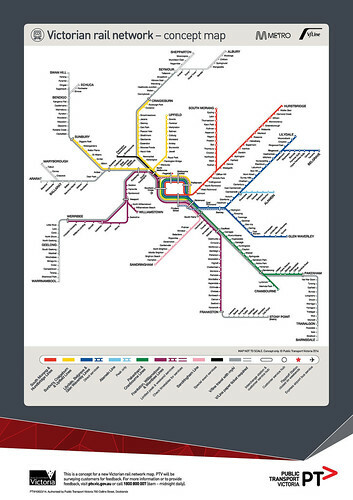 As mentioned in our May member newsletter, PTV is seeking comments on this new design for the rail map. Click on the map to see it full size. Leave a comment on our Facebook page – or you can send your feedback directly to PTV.